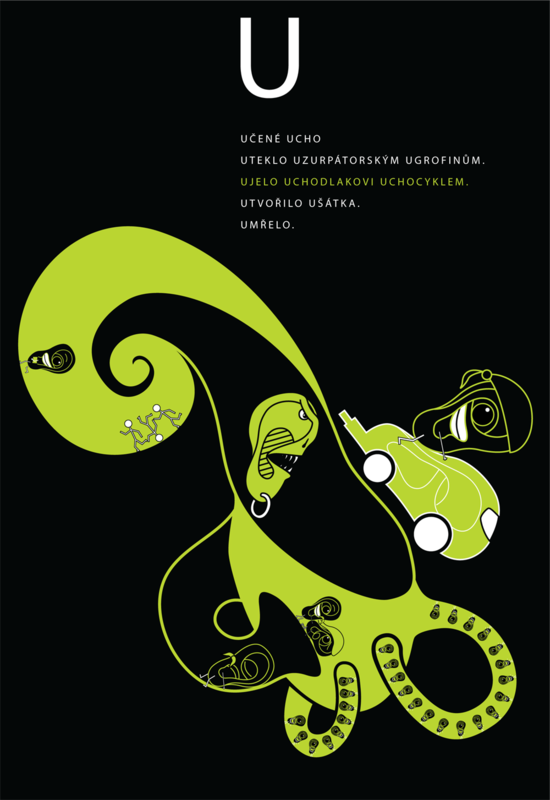 Another work from graphic design class at Multimedia College of Arts in Jihlava. This time it’s a story where all the words begin with the same letter. Final size: A1 silk-screen printing. Educated Ear escaped the usurper Finno-Ugrics. Ear escaped away from Wereear on the earcycle.